 Share The History of Rome, the first time machine for a journey through the history of the Eternal City. The legend of Romolus and Remus, the betrayal of Julius Caesar in the hands of Brutus, Nero and Michelangelo during the realization of the Sistine Chapel. 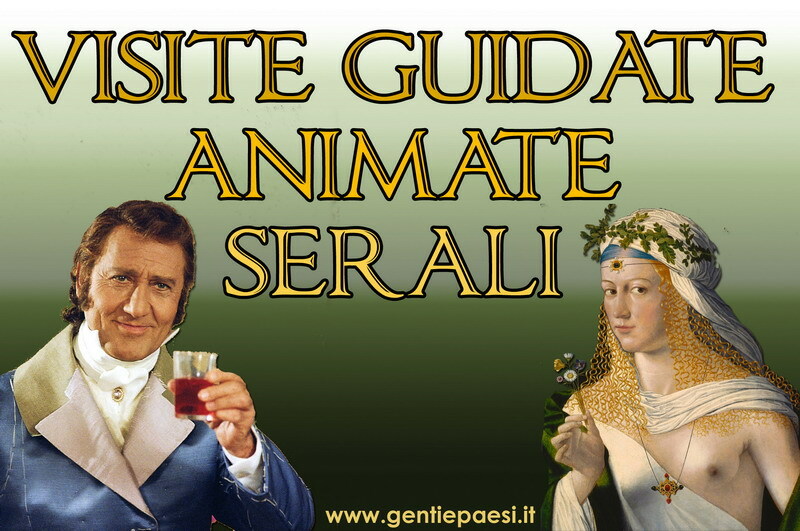 It will be possible also to assist to the virtual reconstruction of one of a kind monuments like the Colosseum, the Temple of Vesta, the Terme di Caracalla until the splendors of the Rainassance and Baroque Rome ���and a lot more! This unique experience, with the projection on three wide panoramic screen, audio in dolby sorround, available in six languages (Italian, English, French, Spanish, German and Russian), multisensorial effects like wind and water etc., and the innovative flight simulator with moving platforms ( they simulate the movement of the film) make the spectator the protagonist. "The History of Rome" + "An Ode to Life"
Thanks to 3 panoramic screens, flight simulators and a state-of-the- art surround sound system, you will be projected into the cinema dimension: a deep jump in time through 2750 years and the most important events in Rome history. A 45 minutes show with high-tech virtual projections of the most famous Roman monuments.  Enjoy for the first time a 5D experience! 3D vision, multisensorial effects and simulation of flights for a revolutionary experience! And it does not end here, in world-wide exclusive right, now is possible to the experience the 5D show � The evolution of life� a unique journey into time. Through the evolution of the life on the earth, from the Big Bang to the appearance of the man. The birth of the first shapes of life, the evolution of the fine species until the extinction of the Dinosaurs, iced age, the appearance of the first mammals. Pupils will be able therefore to live a thrilling experience between science and history thanks to the projection of films in three-dimensional technology (the vision is with special glasses) amplified with a semicircular screen (180 degrees), audio dolby sorround in 5 languages (Italian, English, French, Spanish, German), multisensorial effects like wind, rain etc���and the innovative flight simulator with moving platforms that simulate the movement in the film). The show lasts 15 minutes. Come into this house just if you are brave enough! All of your fears and nightmares are nothing compared to the alarming atmosphere of the house of terror! Will you escape from the thousand dangers waiting for you inside? A 180° panoramic screen, flight simulators and a state-of-the-art surround sound system for a breathtaking 5D experience! A three-dimensional movie projected on a semicircular screen, with special glasses Multisensorial effects (wind, water�), Moving platforms with the simulation of flight (they follow the images of film), Audio in dolby stereo with individual headphones in: Italian, English, French, German. "The History of Rome" + "Escape from Bane Manor"
Enjoy this unique and exciting experience! Look back with us to the past of the world, from Big Bang until the first day of life on Earth! You will meet a great T-Rex and run together with the primitives men. A 180° panoramic screen, flight simulators and a state-of-the-art surround sound system for a breathtaking 5D experience! We are proud to present the �TIME ELEVATOR EXPERIENCE� the extraordinary time machine that with its sophisticated technologies has now become a complementary didactic instrument. Time Elevator Rome proposes you a Multimedial and involving journey, through the historical and artistical rudiments that have made great Rome. The legend of Romolus and Remus, the betrayal of Julius Caesar in the hands of Brutus, Nero and Michelangelo during the realization of the Sistine Chapel. It will be possible also to assist to the virtual reconstruction of one of a kind monuments like the Colosseum, the Temple of Vesta, the Terme di Caracalla until the splendors of the Baroque Rome ���and a lot more! Three panoramic screens, audio in dolby sorround, available in 6 languages (Italian, English, French, Spanish, German and Russian), multisensorial effects like/such as wind, rain etc���and the innovative flight simulator with moving platforms (simulate the movement in the film) that make the spectator the protagonist. The show lasts 45 minutes. And it does not end here, in wolrd-wide exclusive in Rome, is now possible to experience the 5D show � The evolution of life� a unique journey into time. Through the evolution of the life on the earth, from the Big Bang to the appearance of the man. The birth of the first shapes of life, the evolution of the fine species until the extinction of the Dinosaurs, iced age, the appearance of the first mammals. Pupils will be able therefore to live a thrilling experience between science and history thanks to the projection of films in three-dimensional technology (the vision is with special glasses) amplified with a semicircular screen (180 degrees), audio dolby sorround in 5 languages (Italian, English, French, Spanish, German), multisensorial effects like wind, rain etc���and the innovative flight simulator with moving platforms that simulate the movement in the film). The show lasts 15 minutes. It is possible to reserve the vision of these films singularly or in combination. The combination of the shows will be in sequence in order to avoid waste of time for you and your students.